2ND UPDATE: Feb. 11, 2019 6:30 p.m.
TWO ARTLET alumni are among the 12 fellows to the 58th Silliman University National Writers Workshop, the oldest creative writing workshop in Asia. 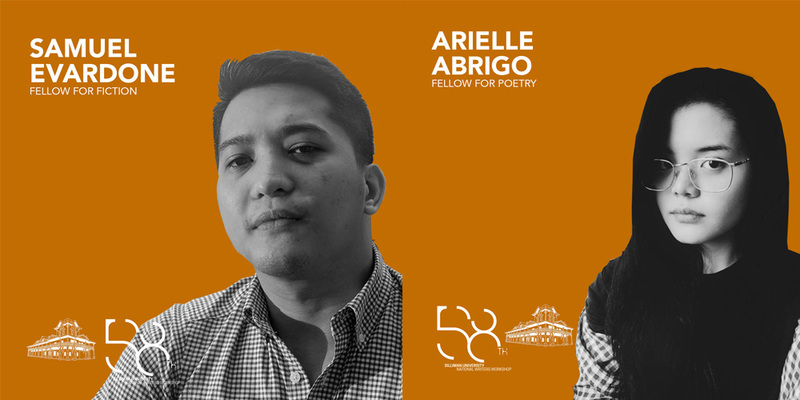 Communication arts (CA) alumnus Samuel Evardone and literature alumna Arielle Abrigo received a fellowship for Fiction and Poetry, respectively. Evardone’s two short stories, To the Shareholders of The Mabuhay Hotel and Paco’s Retreat, as well as a few chapters of his novel Manila Animal earned him the fellowship. “I’ve always been interested in literature kahit na minor lang siya sa CA program. Nick Joaquin’s fiction is essential for me,” Evardone told the Flame. The Batch 2013 graduate participated in the Virgin Labfest Writing Fellows Program held last year, a mentorship program that focused on the study and practice of dramatic writing for the stage. Abrigo’s collection of poems titled Easing Into Light, an extension of her work Lakása, which which literally means baul (chest) in Ilocano, tackles the concept of identity. “I wanted to capture the act of opening a lakása, that precise moment of exposing the things inside it. Lakása, for me, is truth. It does not hesitate, it directly reveals the impermanence of things valued by others, myself included,” Abrigo said. The poem collection also bagged the Rector’s Literary Award in the 33rd Gawad Ustetika held last year. Abrigo and Evardone are both taking up masteral programs in creative writing at the University of the Philippines Diliman and De La Salle University, respectively. Editor’s Note: A previous article by the Flame titled Lit alumna is sole Thomasian in Siliman writers workshop mistakenly claimed that Abrigo was the only Thomasian to be selected as a fellow to the workshop. The said article has been deleted to avoid misleading readers. We regret the error.